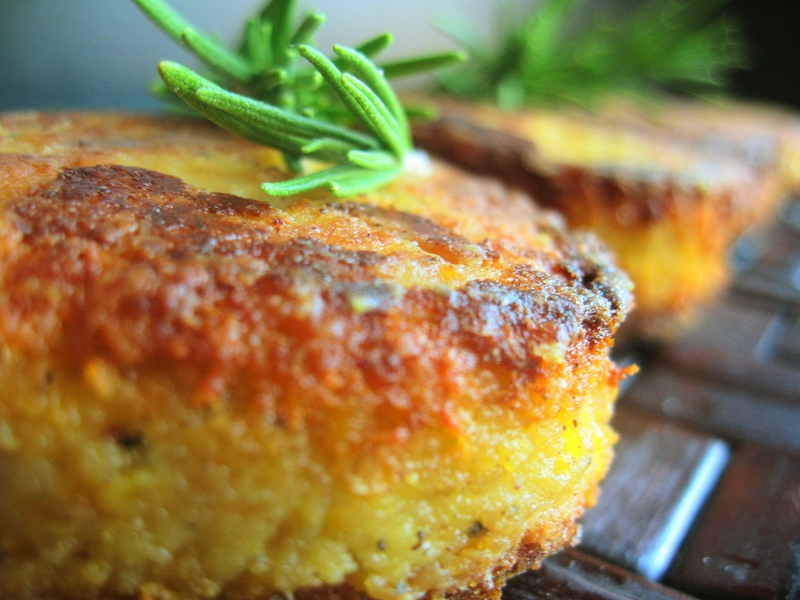 Polenta is one of those versatile foods that (while it can be a little time consuming) is inexpensive, and easy to prepare. You can flavor it up any number of different ways, and you can serve it either creamy, like you would cheese grits or mashed potatoes, or you can chill them, cut them out, and pan fry them, so they are crisp on the outside, and creamy on the inside. Whether as a side dish, first course, or vegetarian main dish, a bag of polenta is a pantry staple in any home. I start out with some extra virgin olive oil and half a stick of butter in the bottom of a large saucepan. I add seven or eight cloves of minced garlic, and 1-2 teaspoons each of minced fresh rosemary, thyme, sage, and red pepper flakes. I then add three cups of homemade chicken stock (or vegetable stock if you are making this vegetarian), three cups of half n’ half, a little salt, and freshly ground black pepper. Once the mixture comes to a boil I slowly add two cups of course ground polenta, and cook, stirring regularly, for about thirty minutes or until the mixture is very thick and the polenta is tender. (If it thickens too quickly before it is tender don’t be afraid to add up to a cup of water as needed). When they are done, stir in ½-¾ of a cup of Parmesan cheese, and then taste it for salt. Serve it up hot and creamy as a delicious side dish one night, and then the following night reinvent the leftovers. The polenta will set up in the refrigerator over night. Cut out rounds (I just used a fluted biscuit cutter), dust them with flour, then fry them on both sides in a couple of tablespoons of extra virgin olive oil and butter until a deep golden brown. Serve them up hot on their own, or on a puddle of your favorite marinara (or, in this case, sun dried tomato pesto). It is rich, creamy, and packed with great flavor. Enjoy! Also, how can it not be delicious served with sundried tomato pesto! I agree there are many different ways to cook polenta. Creamy and fried ones like yours are great!! That looks absolutely great, the colors are beautiful and I’m sure it tastes beautifully too. Thanks for sharing, both ways sound yummy! Goodness gracious! It is pathetic that I haven’t tried to make polenta or its fried alternative! Delicious! Your photos make me want to jump through the screen and just delve into the gorgeous goodness! Thanks for sharing! I promise to make fried polenta soon! It is becoming necessary! wow!! your polenta looks awsome!! 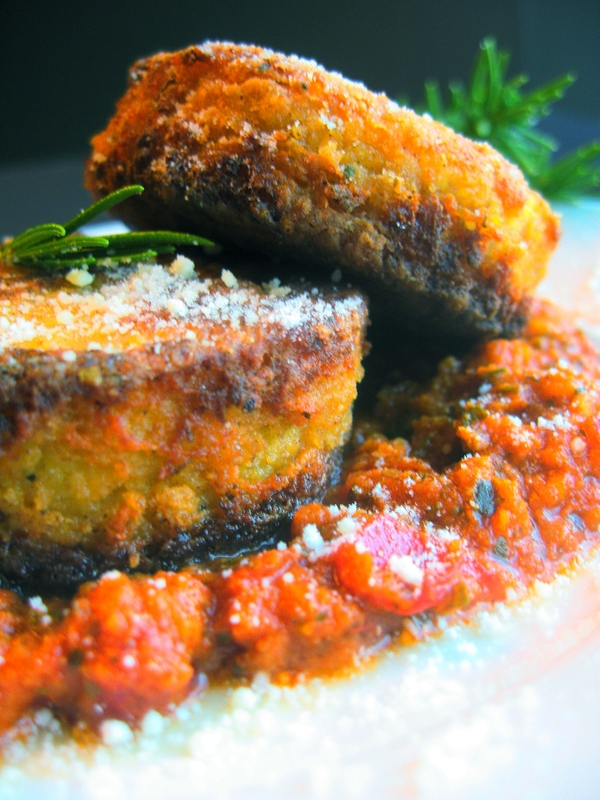 I am a polenta fanatic and I hope your explanation of how to make it and how delicious it is inspires many to make it! I don’t need any convincing- I am a polenta-gospel spreader! 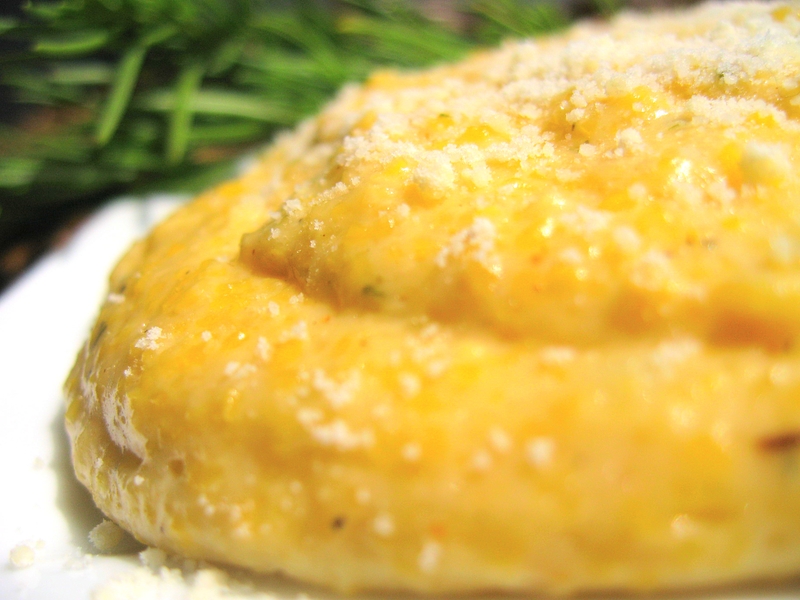 A note from a Southerner…..Polenta is just about the same as hominy grist. And the word actually is GRIST, not grits. Eons ago, somebody transposed the t and the s, because after all, it does look a bit gritty before grist is cooked. A staple in all Southern kitchens, polenta/hominy grist is gaining respectability all over the world, thanks to fabulous recipes like this one. You can check any old recipe book from Charleston SC (Charleston Reciepts is the most famous of all) and there’s a statement about grist.